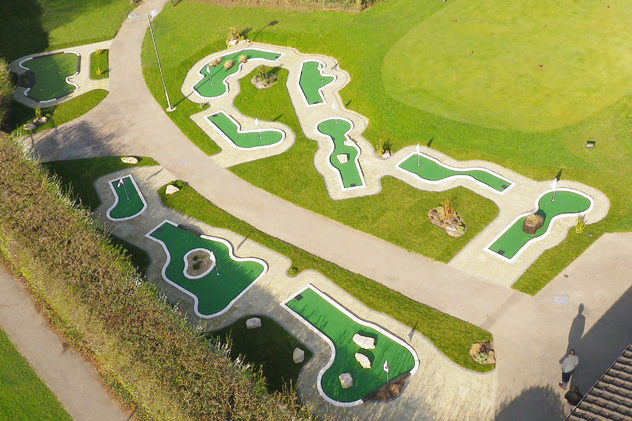 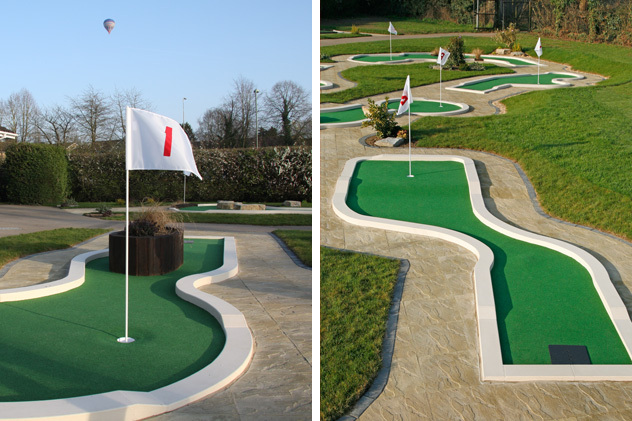 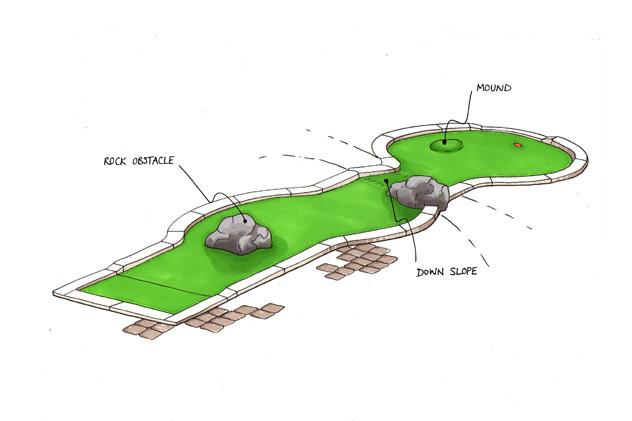 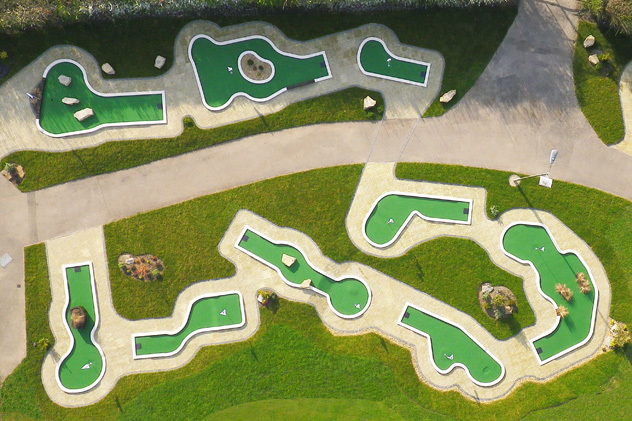 The design, construction and dressing of a new, skill-based 9-hole minigolf course and putting green. 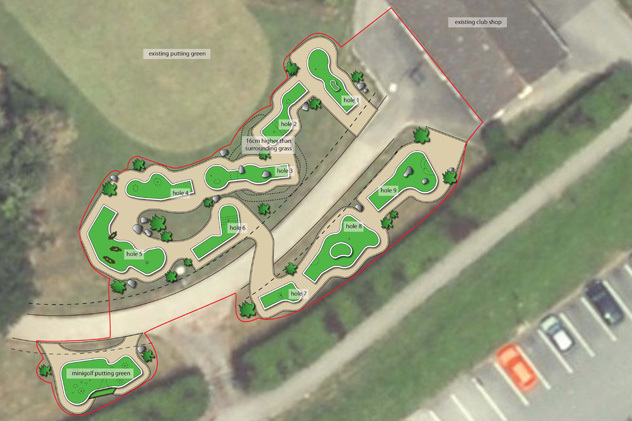 To create a course that would complement the existing facilities at the site, which includes a 9-hole pitch & putt course and driving range. 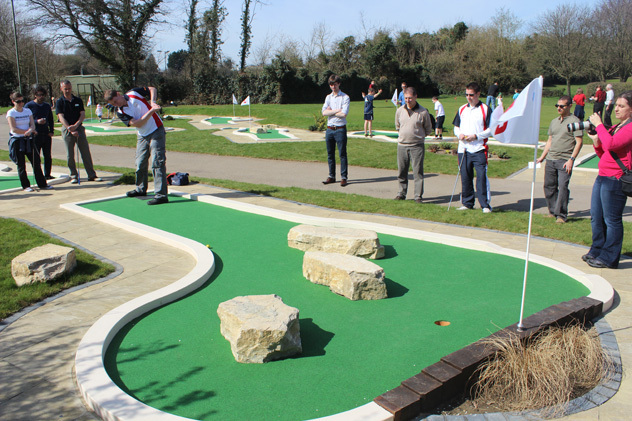 The course was required to keep the golfers entertained, but to also be attractive, drawing new customers in and encouraging them to come back time and again. 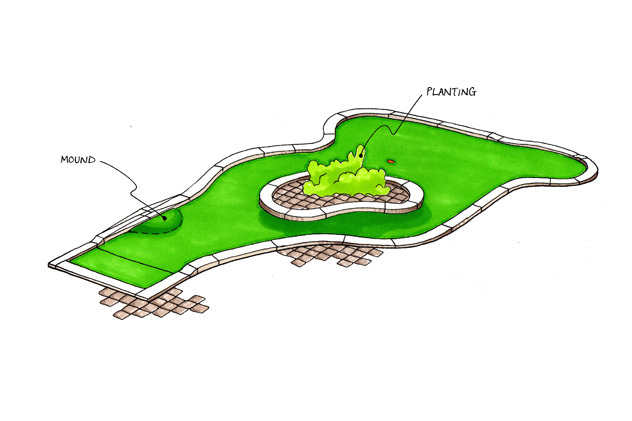 The client gave us the green light after seeing our initial drawings and proposals. 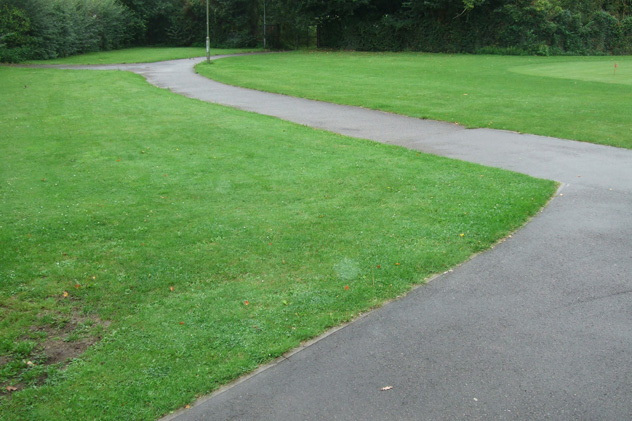 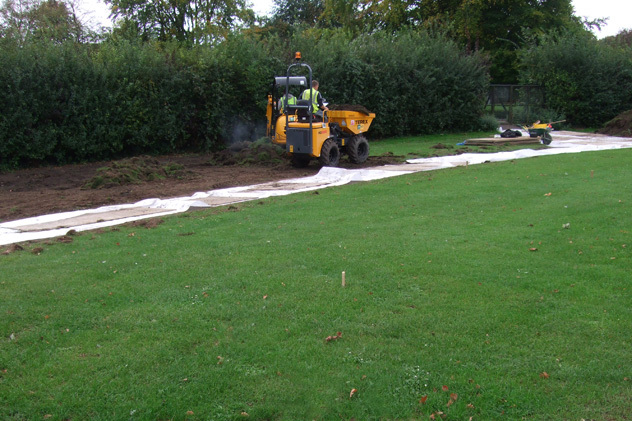 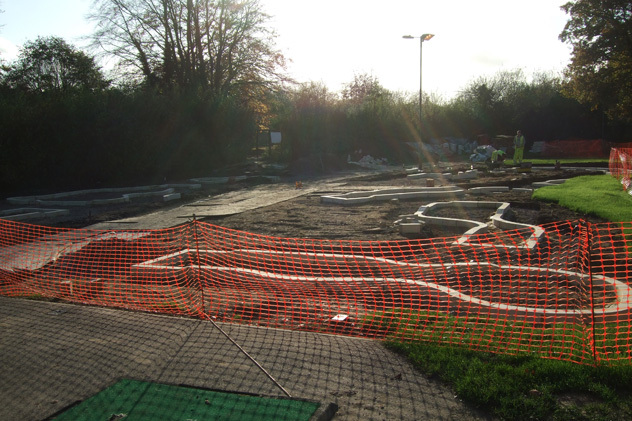 There followed a period of working with the local planning authority to ensure the layout and design elements would blend well in the surrounding landscape, before breaking ground. 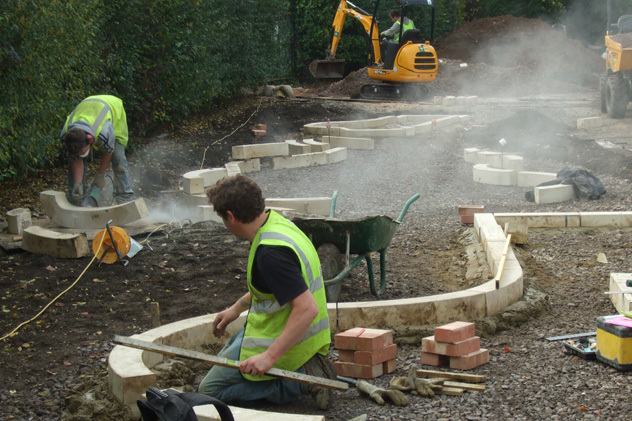 Working over the 2011 British winter, it was important that we allowed plenty of time to complete the build by the Easter holidays. 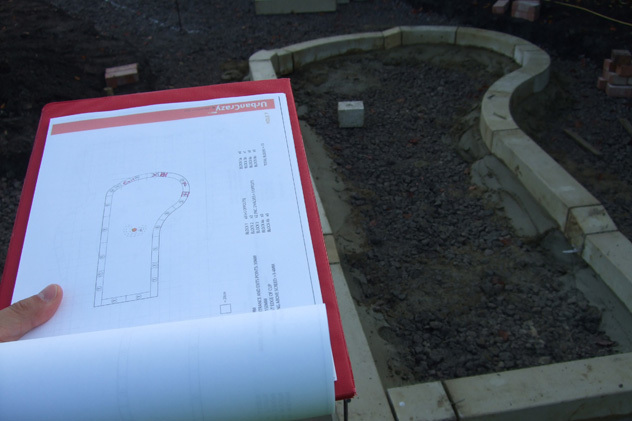 After a period of prepping the worksite and ordering in materials, we set about the construction. 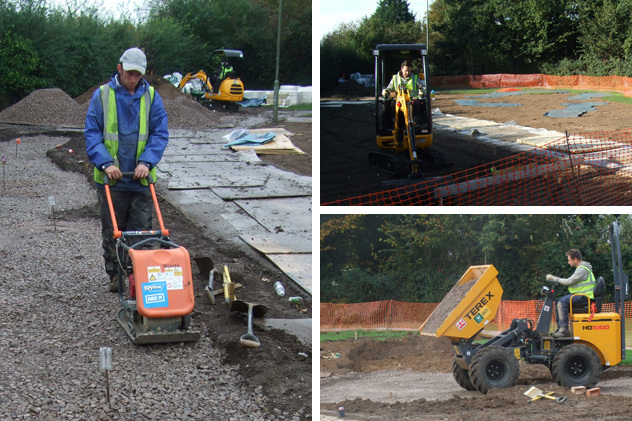 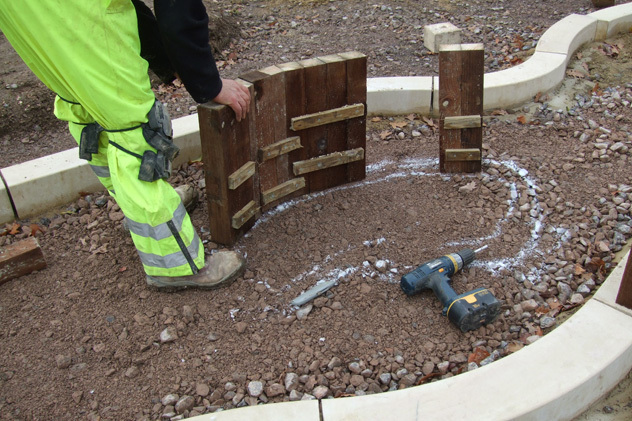 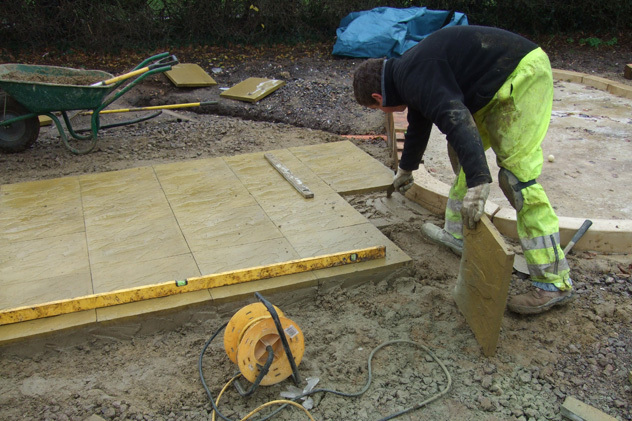 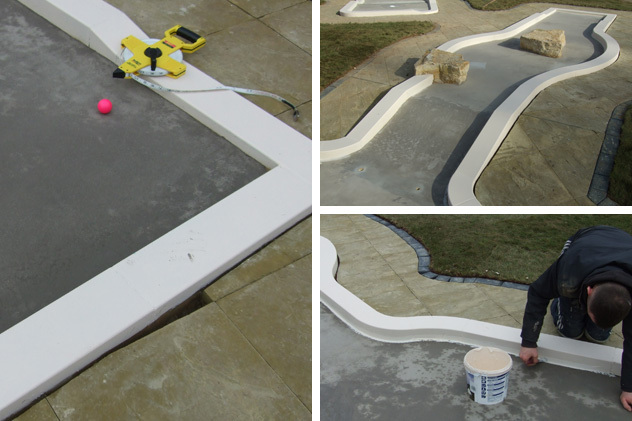 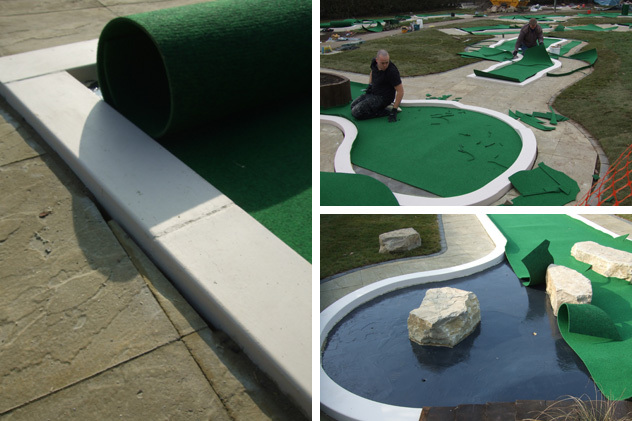 Close attention was paid to the playability of every hole, with clever profiling added in the concreting stage. 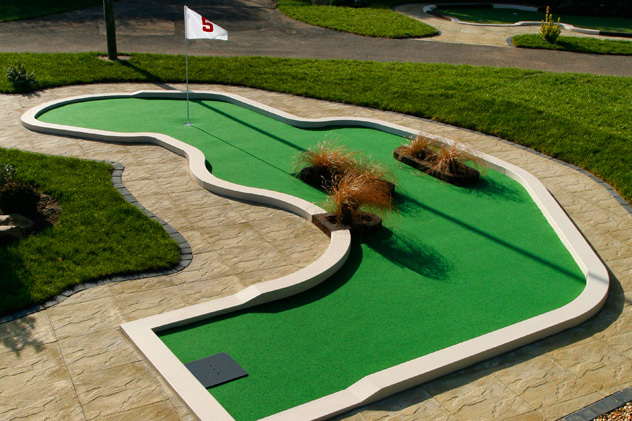 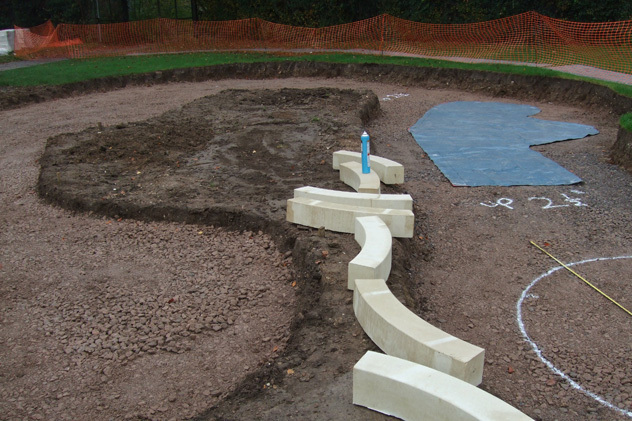 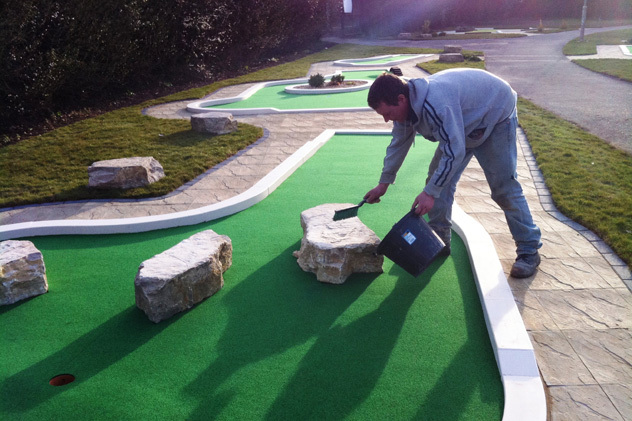 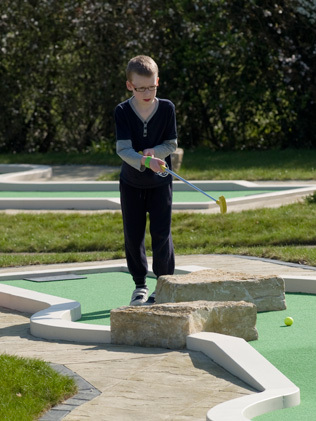 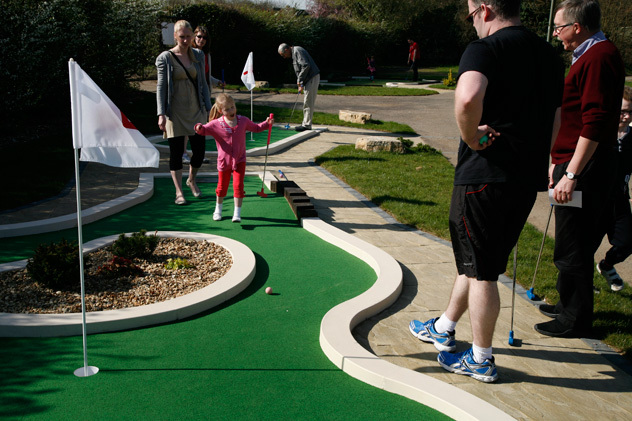 Our kerbing blocks were set in, followed by our exclusive “Smooth Putt” felt and attractive planting and rockeries. 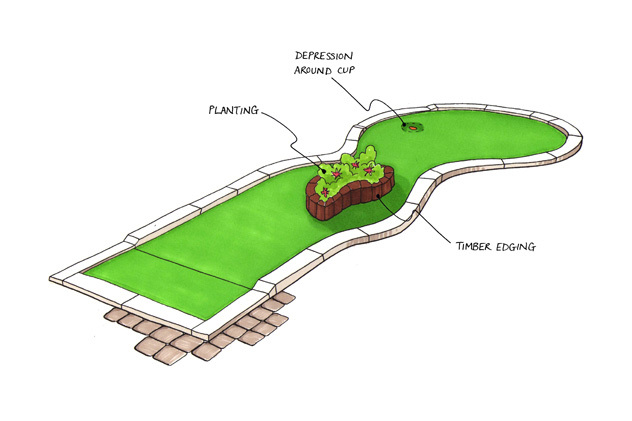 We completed the project early! 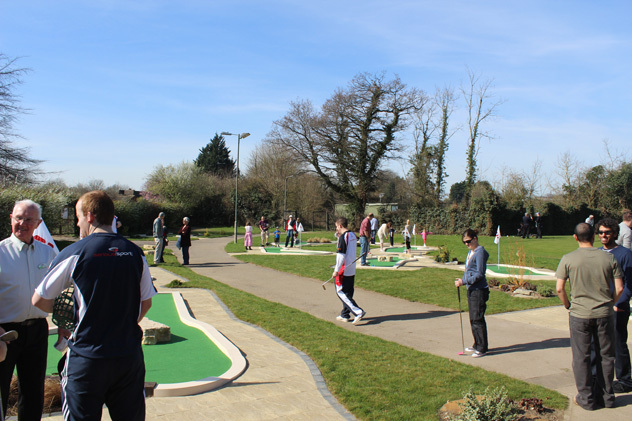 There was a launch for councillors, followed the next weekend by the grand, public open day at which we were joined by members of the British Minigolf Team. 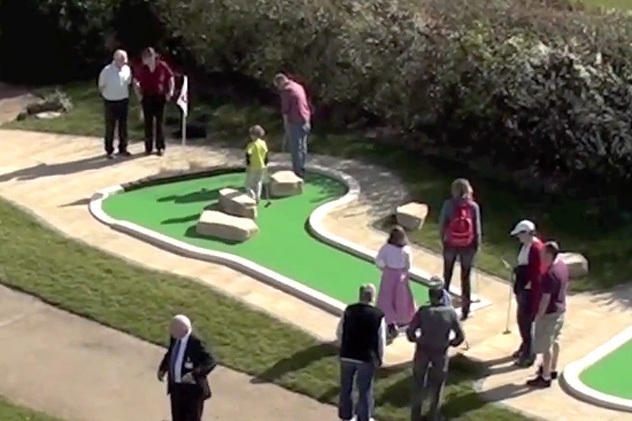 They, and along with the hundreds of first time visitors to the new course had a great time. 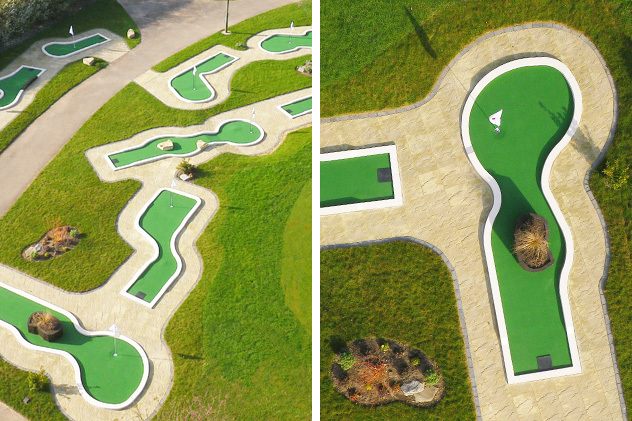 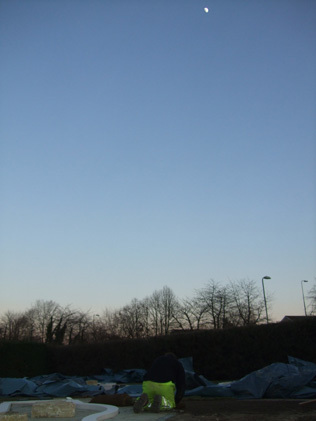 Take a look at the photos (right), and our blog. 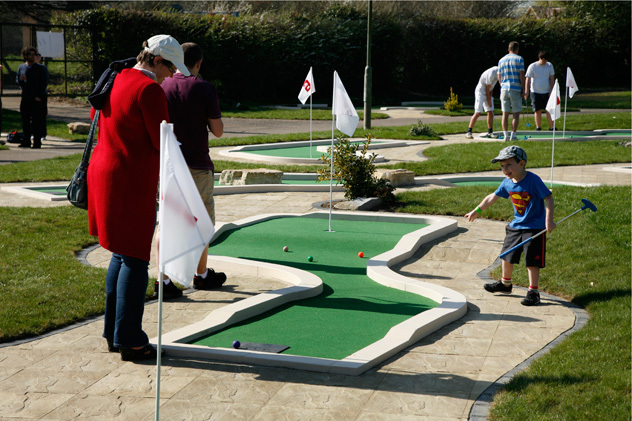 We were honoured that 2010 World Crazy Golf Champion, Chris Harding – and Richard & Emily Gottfried of the British Minigolf Team – came along to the open day. 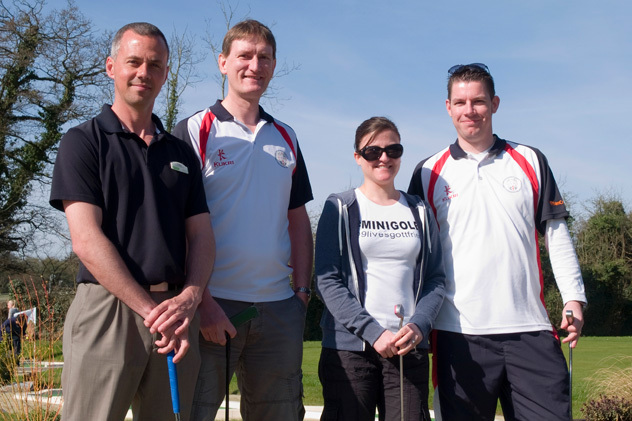 The 3 minigolf pros took on the club golf pro, Tony Cook in a challenge match. 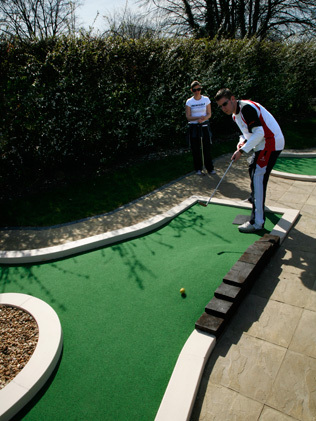 To find out who won, click here.